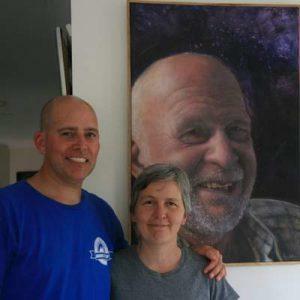 The Champion work “Uncle Ian III (Into the Unknown’, with artist Louise Jenkins, and her cousin David whose father sat for the portrait. Tenterfield Show 2015 was judged by Tanya Robertson-Cuninghame. I graduated from the National Art School in 1981, and have been a practicing artist since then, updating my qualifications regularly and teaching Visual Arts for 27 years in various establishments. These include: TAFE, New England Girls School, regional High Schools, and G.I Correctional Centre. I also have a Graduate Diploma in Education from UNE. My partner and I had an exhibition of our combined work of paintings & leadlights at Maitland Regional Art Gallery in October 2013. The following show results are those of Borderline members only. Congratulations!! !